The stock of Kraig Biocraft Laboratories Inc (OTCMKTS:KBLB) was moving sideways above the 2 cent per share mark for quite some time during the first half of this year. After a decline in May we saw the ticker recover some of the lost value and become a bit more stable in June. The company stock kept a decent market capitalization, which might have even been bigger than it was able to support. After all, the numbers of prime interest contained in KBLB’s report for the first quarter of this year were the following. Those numbers aren’t particularly great, but they are certainly not the only flag surrounding the company stock. Let’s not forget that, as we mentioned in our previous articles, KBLB has issued about 18 million shares at a price of $0.018 per share for a total of $300 thousand in proceeds since the beginning of this year. There is also the matter of the 9.5 million shares that came to existence as cashless exercises of warrants. This is why the latest downward run that KBLB has suffered through comes as no surprise. 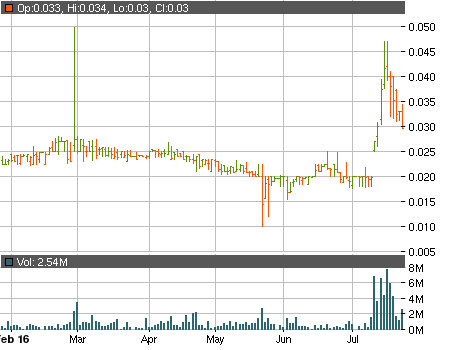 Yesterday we saw the ticker drop another 10.24% in value and close at $0.029619 per share. The ticker is doing far better in today’s trading, mainly with the help of an optimistic press release. This, however, doesn’t change the fact that KBLB is still value at more than $20 million, so you should be sure to do your due diligence and weigh out the risks before putting any money on the line. Previous story Will Strikeforce Technologies Inc (OTCMKTS:SFOR) Keep Its Gains?